As a Federal Depository Library and the New Mexico State Depository, the New Mexico State Library has developed a varied and interesting government documents collection. Many older and historic items can be found in our physical collections, digital federal items can be found and accessed through our online Catalog, and digital state documents can be found in our Digital Archive. 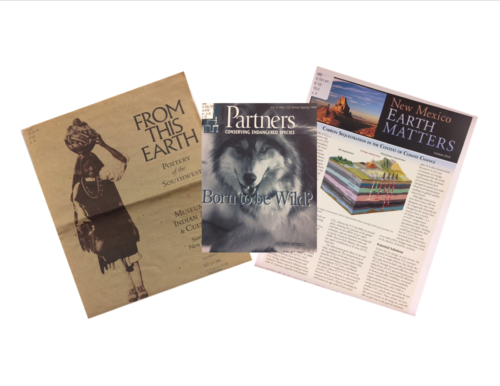 Inspired by Earth Day, NMSL has put together a small display showcasing a handful of government documents that address our interactions with planet Earth. 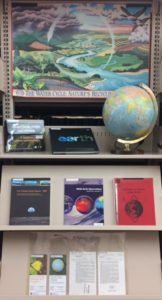 We have posters, books, the Public Laws concerning Earth Day, agricultural research, climate research, teacher aids, and much more. 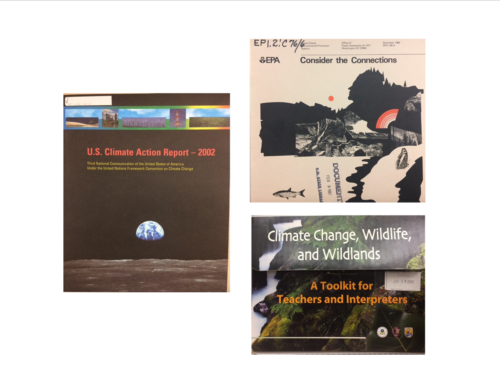 The agencies producing this material are varied; including but not limited to: NASA, the EPA, the Agriculture Department (national and local), the Forest Service (national and local), and local universities to name just a few. The first Earth Day was in 1970, read about it here. Federal documents in our display. State documents in our display. Don’t Lose Your Browser Tabs.